Fender is collaborating with Jimmy Page to recreate his famous 1959 Fender Telecaster, 50 years after Led Zeppelin formed in October 1968. 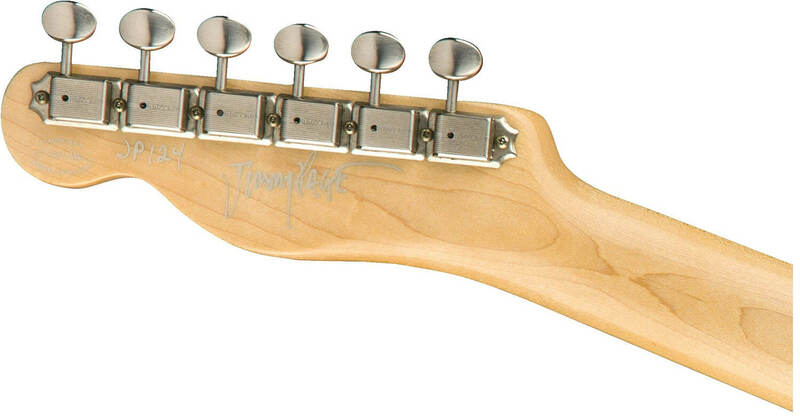 Fender has announced its collaboration with guitar legend Jimmy Page to recreate his iconic 1959 Fender Telecaster. To celebrate Led Zeppelin’s 50th anniversary as well as Page’s illustrious career as a guitar icon, Fender will release a line of four signature Telecasters in 2019. Of the four models, two will be made available as production lines, and two are produced by the Fender Custom Shop – dubbed the “Limited Edition Jimmy Page Telecaster Set”. Page originally received the Telecaster as a gift from Jeff Beck in 1966. That guitar was coated in a factory Blond White finish, and has undergone various sonic and aesthetic appointments since. In February 1967, Page appended eight circular mirrors to the guitar’s body – an outfit that featured briefly in his final years with the Yardbirds. Later that year, Page decided to revamp the guitar’s look by removing the mirrors, stripping off the guitar’s original finish, and hand-painting a striking mystical dragon on its body. When Led Zeppelin was formed in October 1968, the Dragon Telecaster became Page’s go-to instrument on stage and in the studio through to 1969. The guitar was also the main axe used by Page on the legendary Led Zeppelin I album, and is best remembered for being played with a violin bow during a live rendition of Dazed And confused performed at 1969’s live supershow concert. In February, Page approached the Fender Custom Shop and masterbuilder Paul Waller to discuss the Telecaster’s recreation. After an extensive eight-month collaboration between Page and Waller, the famed ’59 Telecaster has been recreated – and approved by the man himself. 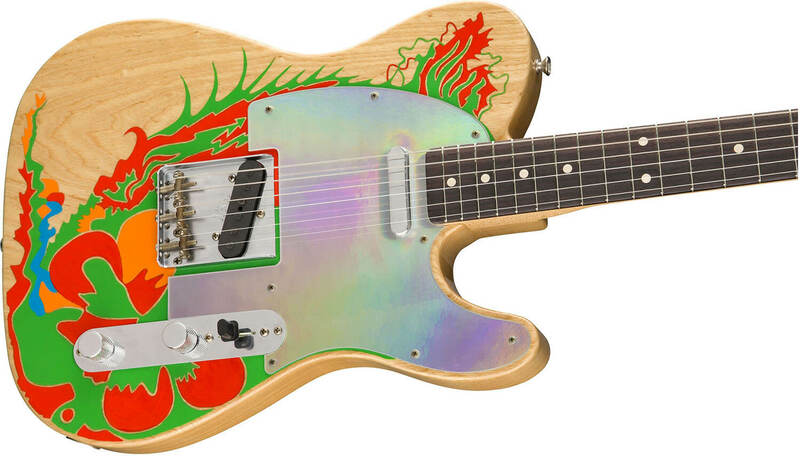 Of the four signature models, two are limited-edition Fender Custom Shop versions, built by Waller: one with mirrors and the other with a painted dragon. Only 50 pieces of each model will be made available with personal touches from Page himself, including a signed headstock and personal hand-painted embellishments on the guitar body’s dragon artwork. The other two will be released as production-line models, which will be accessibly priced for the broader base of fans. These will not sport the artist’s signature and his hand-painted appointments, though Page did ensure that the guitars are true-to-spec of the original ’59 Telecaster. “This guitar is so special and has so much history. They really got it 110% right, or 150% right. It’s so absolutely as it is, as it should be, and as it was”, he said.